There are many loan documents with the reverse mortgage (all mortgages actually) and it’s hard to remember all the details through the life of the loan. To help you have a better understanding initially as well as be a reference in the future, this article summarizes the reverse mortgage features and terms. A reverse mortgage is a mortgage or lien against your property allowing you to use the equity in your home. Monthly mortgage payments are not required however you are responsible for property taxes and hazard insurance. Through FHA, the Home Equity Conversion Mortgage (HECM) is a government insured program and regulated by HUD. As a loan against your property, the funds are not considered income so Social Security and Medicare are not affected; and generally SSI and other public benefits are not affected; Medicaid can also be received under certain situations – consult with legal services for your situation. Generally the funds received are considered tax free – consult your tax advisor regarding your situation. You retain title and remain a vested owner of your property. You retain all rights and responsibilities of home ownership, including property maintenance, tax and insurance payments, etc. Should the lender default, FHA will assume the responsibilities of the lender and guarantees funds are available to borrowers according to terms of the loan. As FHA loan, interest rates are lower than they otherwise would be on a reverse mortgage. Non-recourse: Borrower/Homeowner or the estate will never be obligated for more than the fair market value of the property. If you have selected an adjustable rate product, your interest rate may change over the life of the loan. There is a lifetime cap on the rate; for the monthly adjustable rate it is 5 or10 points (depending on the lender) and for the annual rate it is 5 points over the initial rate at the time of closing. The interest rate may adjust annually (maximum of 2 points with each annual change) or monthly. The current and future rates will be provided on your monthly statement. The rate is based on the LIBOR index. Interest is charged against your loan balance only. Unused line of credit and/or unused term/tenure payments will not accrue interest. If you have selected a fixed rate product, your interest rate is fixed and will not change over the life of the loan. Interest accrues only on amounts borrowed. Monthly charge for FHA Mortgage Insurance Premium (MIP) – .5% (1.25% on loans closed prior to 10/2/2017) per year on loan balance (added to loan balance). All costs, charges, and accrued interest are added to loan balance. Essentially you are borrowing these funds each month because you are not paying them monthly; this is why the loan balance increases over time. Available credit of unused portion of line of credit grows over time at the current applied interest rate plus .5% (1.25% on loans closed prior to 10/2/2017). This is not interest, but a growth rate. Interest is not charged on unused portion of line of credit. Line of credit funds advances must be requested in writing from the lender/servicer. Lender has 5 business days to process your request. If you have selected monthly Term or Tenure Payments, these monthly advances will be paid to you on the first business day of each month beginning the month after loan closing. Interest is not charged on un-advanced monthly term/tenure funds. Although monthly or periodic mortgage payments are not required, you may make full or partial payments at any time. Please contact the lender/servicer for payment address and information. Partial payments reduce the loan balance due. Partial payments on adjustable rate HECM’s will create or increase the line of credit and these payments can be borrowed in the future. Payments on fixed rate HECM’s are permanent payments. Payment in full will terminate the loan and eliminate any available term/tenure payments and/or line of credit. Borrower(s) no longer occupy the home as a primary residence. Borrower(s) no longer owns the home. All borrowers have passed away. Property taxes are not kept current. Homeowner’s/Hazard insurance is not kept current. Flood Insurance (if applicable) is not kept current. HOA dues (if applicable) are not kept current. Required repairs are not completed. Property is not properly maintained. Title vesting changes are made. Heirs/estate should contact the lender/servicer within 30 days to provide notice of the death. A reverse mortgage is not transferrable to the heirs or estate. The loan may be repaid from sale of property. If heirs wish to keep the home, they may satisfy the debt by paying the lesser of the mortgage balance or 95% of the FHA appraised value of the home at that time. 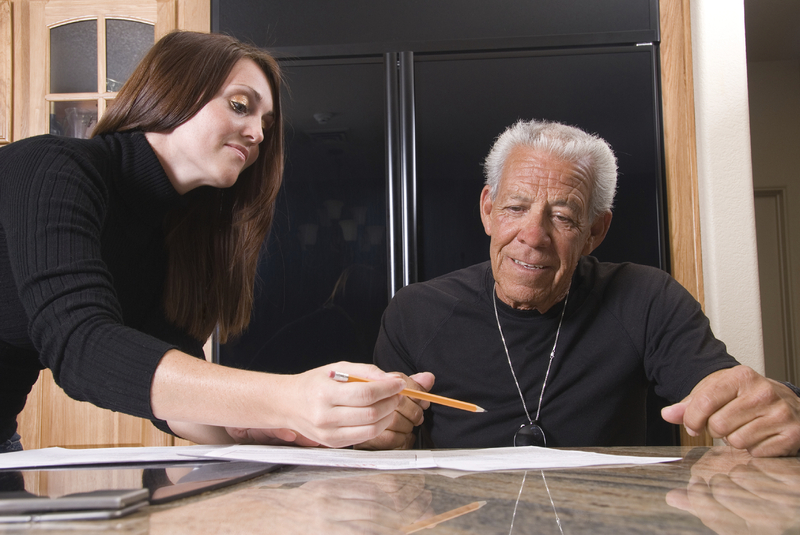 Most lenders are allowing up to six months for heirs to settle the estate and repay the reverse mortgage (but timely communication with the servicer is required). Where justified, HUD, who regulates the HECM, may approve extensions beyond this time up to a total of 12 months. Maintain homeowners insurance on property. Maintain flood insurance (if applicable) on property. Pay HOA dues (if applicable). Not make changes to title vesting. Return the annual occupancy certificate to lender. Provide proof your property taxes have been paid annually. Provide proof your property insurance has been paid. If you change your insurance provider. If you change your bank for direct deposits. If you are putting the property into a Trust. Any other changes to the property. If there is a claim from your property insurance. When a Power of Attorney (POA) is being implemented to make decisions on your behalf. Surprise! Reverse Mortgage Closing Costs Actually Compare To A Conventional Mortgage Closing Costs.